IQue Trinidad Hot Tub offers so much for your enjoyment and health. Ergonomically, comfortable seats and a lounge in a variation of depth and height, hydro therapy massage covering the entire body. 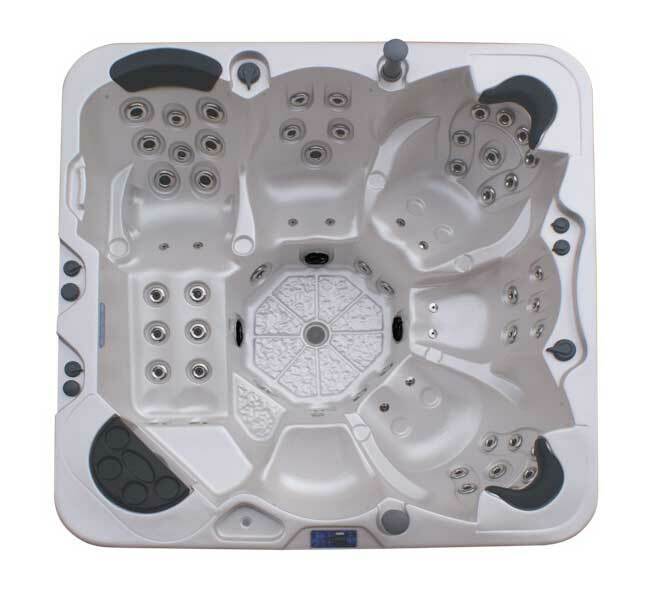 It includes king and queen and cool down seats and is the perfect family Hot Tub. Just enjoy the sound of the waterfall, and you will feel relaxed.Our Hydro Therapy Power Flex Massage System offers so many different massage options, you will feel like just been in a spa resort.